Once again: is bitcoin a currency, and do currency rules apply? Or is it a capital asset and do those rules apply? The Wall Street Journal is reporting that a large Bitcoin exchange Coinbase has been served with a so-called “John Doe” warrant in search of those people attempting to evade taxes. A number of privacy advocates are upset at the breadth of the warrant, because it demands access for an entire broad class of people, and not specific people. 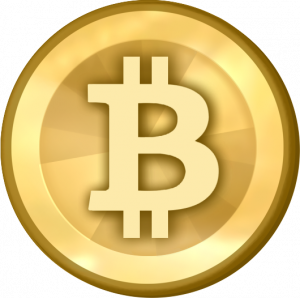 Bitcoin is used for all sorts of nefarious purposes, including online ransoming. Tax evasion would be the least of its problems. Were Coinbase a bank, they would be required to inform the federal government of transactions greater than $10,000 or of those individuals believed to be structuring transactions to avoid the $10,000 filing requirement. These are anti-money laundering provisions that go hand in hand with tax enforcement. And so my question: if it is wrong for the federal government to make such a demand of Coinbase, is it also wrong of them to make the same demand of banks? If it is not, then why should Coinbase be treated differently? And if Coinbase is not treated as a bank, is Bitcoin then not a currency? If it’s not a currency, should it be treated as a capital asset for taxing purposes? If that is the case, how would the IRS be able to enforce the reporting requirements associated with assets? The alternative seems to be to trust people to not launder through Bitcoin. If history, including recent history, is any measure, that’s a bad idea. Either way, Bitcoin has already shown that privacy has its downsides.